Every now and then, I google myself just to see what others do when trying to research me……… It also serves as a reminder of past achievements and contacts. I just came across the link below referring to a programme I devised and ran for a national FM company from 2006-2013. The link covers a really proud moment for me – winning the overall European Employee Volunteering Award back in 2012. Beating 22 other countries was amazing. Although the picture of me is pretty embarrassing, it reminded me of some of the things I achieved during my employment with the organisation. It is strange to think back to my departure from the company. 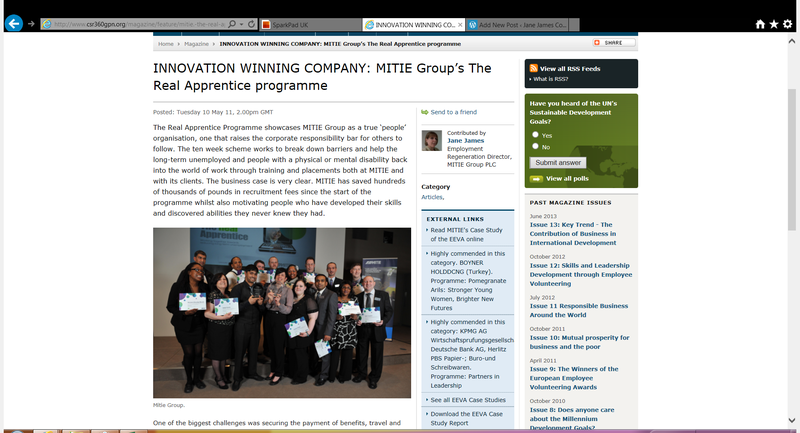 They didn’t want any mention of my work on the Real Apprentice in any future posts for a year after parting company whilst they built up a new work experience programme. What they and organisations like them don’t consider is the web coverage from other organisations – once on the web – it stays on the web! Clearly we don’t have much control on what others post about us, but we do on what we post on ourselves. I make it a rule never to post anything that would cause me embarrassment if family, friends or an employer read it. This practice can take the fun out of sharing jokes etc but it is much safer!